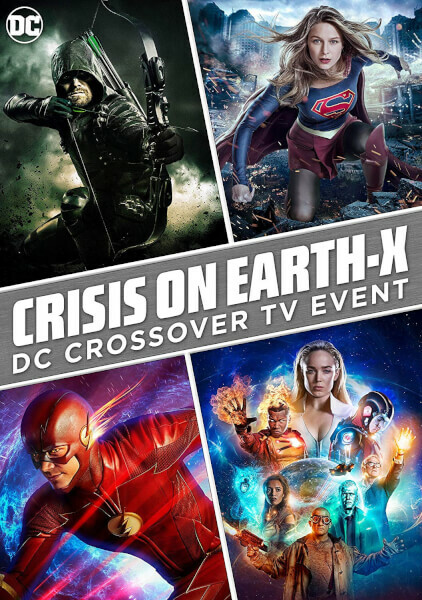 Witness the most epic battle of all time Crisis On Earth X comes to DVD on 3rd September. To celebrate, we are giving 3 lucky readers the chance to win a copy of the box set on four-episode crossover event. Witness all 4 episodes of the Crisis on Earth X crossover event. Barry and Iris’s wedding brings the gang together, but things go awry when villains from Earth-X attack the ceremony. All of the superheroes band together with help from their super friends like Citizen Cold, The Ray, Felicity Smoak, Iris West and Alex Danvers to take on their most formidable villains yet. Earth’s mightiest heroes – Green Arrow, Supergirl, The Flash and White Canary – lead their teams into battle to save the world. The competition ends at 23:59 on 20 September 2018. Each prize consists of a Crisis On Earth X DVD.